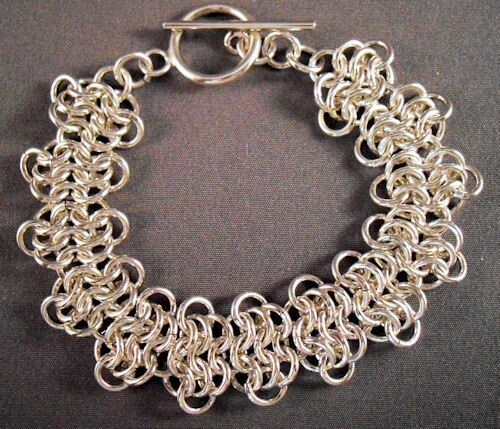 The European Rosette Bracelet is a simple variation of the European 4-in-1 weave. It has a lacy effect as it lays along your wrist. The bracelet comes in two sizes which are medium and large. This is a beginner weave. A clasp is not included in the kit.